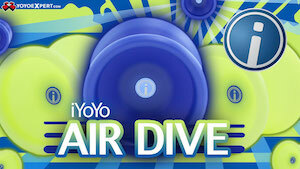 YoYoFactory has finally unveiled the newest signature model yoyo for World and National Champion, Tyler Severance. This bi-metal evolution of the Supernova looks like the ultimate 5A yoyo, and I’m begging you right now, YoYoFactory, put one of these in the mail to be ASAFP! 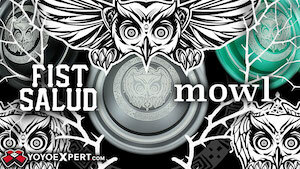 The brand new signature model of YoYoFactory Professional Tyler Severence is finally here. 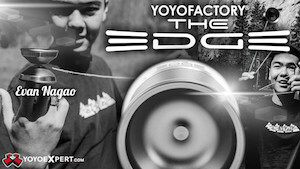 The Space Cowboy is the first worldwide YoYoFactory release to feature an all new bi-metal design offering an aluminum body with stainless steel rims. 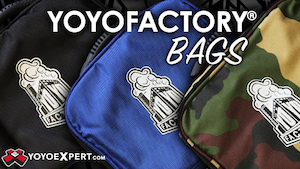 Every single Space Cowboy box is autographed by Tyler and each yo-yo is built to his preferences with a stock Center Trac bearing and CBC Natural Pads. Lastly, each Space Cowboy is packaged with two temporary tattoos, one of each Space Cowboy logo.